Marco Hoeger and Manuel Junglas struck in the first half to put Aachen ahead, and the visitors never looked back. Sebastian Westerhoff pulled a goal back late for S-W Essen, but the hosts were unable to create an equalizer before the final whistle. Marc-Andre Kruska converted a penalty, and Sergiu Radu netted on the stroke of halftime to put Cottbus comfortably ahead. Bjoern Mickelat converted a spot kick on the hour mark, but it was not enough and Cottbus held on for the victory. Koblenz may have finished 13 places behind Duesseldorf in the 2009-10 2. Bundesliga season, but the Rhine side put their best foot forward today and advanced. It took 84 minutes for the game's first goal to be scored but at long last Johannes Rahn netted the winner for the hosts. Fifth-tier Victoria Hamburg surprised 2. 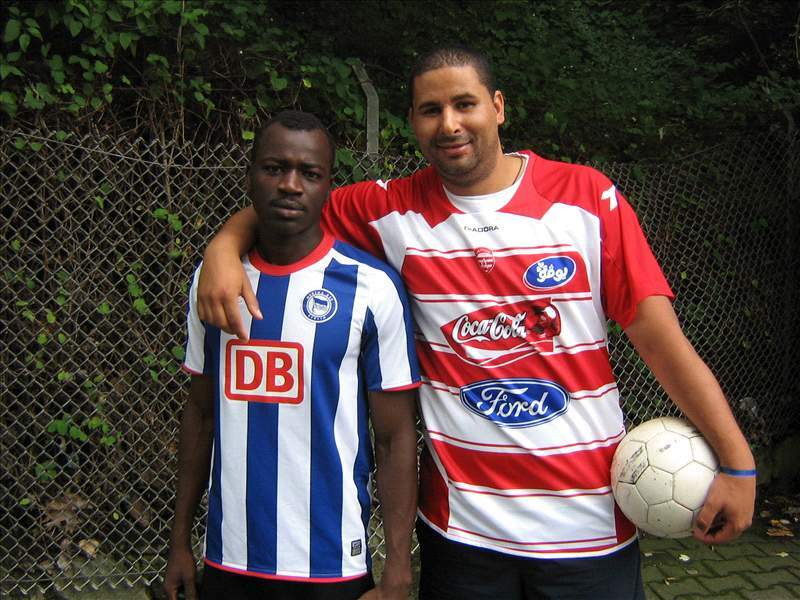 Bundesliga Oberhausen, who were knocked out in the second round of the 2009-10 Pokal. Stephan Rahn's fine free kick in the 29th minute was the only goal of the match and was all the hosts needed to advance. 1. Bundesliga favourites Koeln had little trouble advancing. Taner Yalcin scored the opener after six minute, and Milivoje Novakovic settled the game before halftime with a strike of his own. On-loan starlet Lewis Holtby starred in his first competitive match for Mainz. The 19-year-old, who is under contract at Schalke, netted in the 38th and 69th minutes. Ibrahim Keser cut Berliner AK's deficit in half in the 83rd minute, but his strike would prove to be no more than a consolation goal. Albert Bunjaku put Nuernberg ahead early, but Trier remained in contention throughout the rest of the match. Only in the 89th minute did Nuernberg seal their victory: Bayern Munich loanee Mehmet Ekici scored his first goal in competitive play for the Bavarians. Christoph Klippel struck in the 39th minute to give Hallescher the lead, and that was all the Regionalliga Nord team needed to edge Union Berlin. Third-division side OFC Kickers upset Bochum, who were recently relegated to the 2. Bundesliga. Goals from Nicolas Friedhahn, Steffen Haas, and Denis Berger rounded off a comfortable, 3-0 victory for the hosts. Ambitious Bundesliga hopefuls Wolfsburg struggled for most of the match, but new signing Cicero finally broke the deadlock in the 80th minute. Edin Dzeko scored an own goal to equalize but moments later Grafite won the game for die Wolfe. Ruud van Nistelrooy recorded a hat-trick as Hamburg blew out Torgelower Greif. The Dutchman opened his account on 34 minutes, but Daniel Pankau equalized before halftime. After the break, the visitors reached top form: Jose Paolo Guerrero scored, Van Nistelrooy struck twice in rapid succession, and David Jarolim added a fifth in the final minutes.